Every year, thousands of U.S. veterans visit Washington, D.C. to experience the memorials dedicated their sacrifice and service. 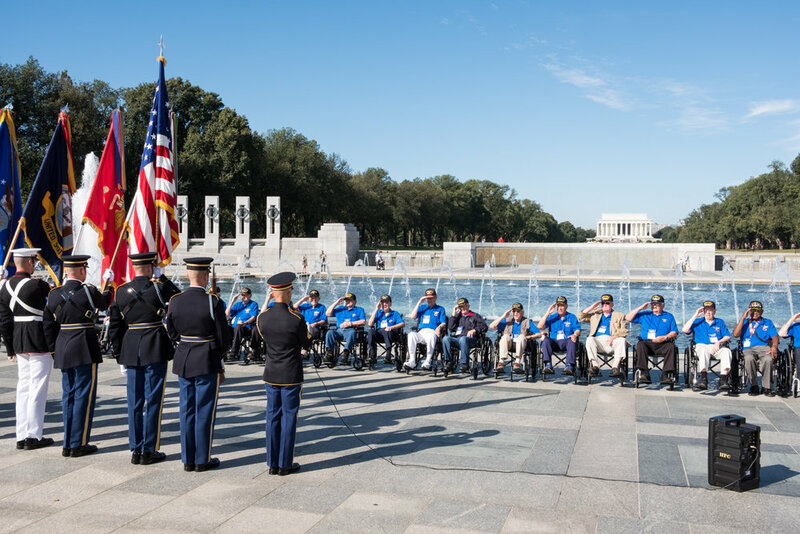 The veterans are part of Honor Flight Network, a non-profit organization that was established to help bring vets to the nation's capital. 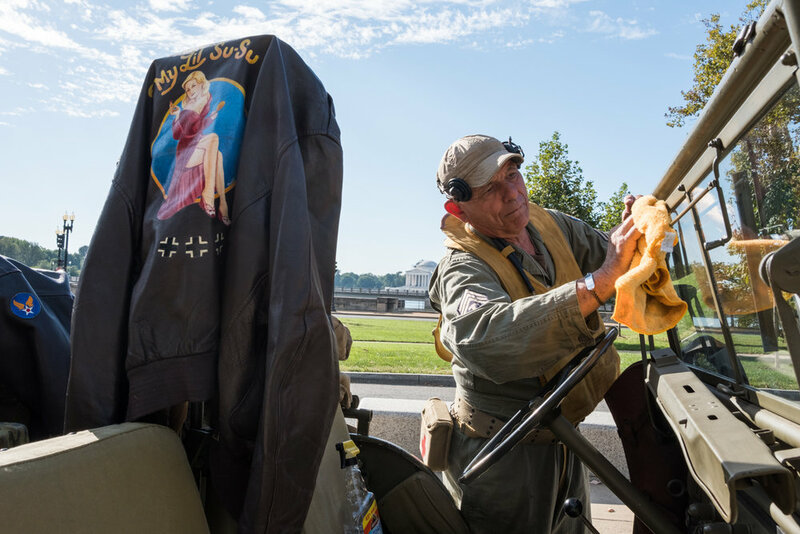 Honor Flight pays for travel costs and logistical support on the ground. 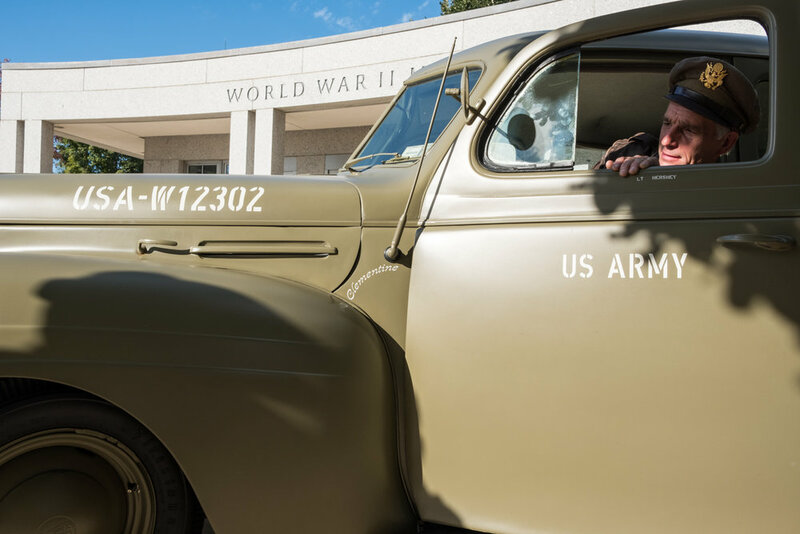 To enhance the veterans' visit, re-enactors from Allied Airmen's Preservation Society volunteer throughout the year and welcome the vets with open arms and sometimes a big smooch. A link to the online article is here. An image was printed in the magazine's Big Picture section.